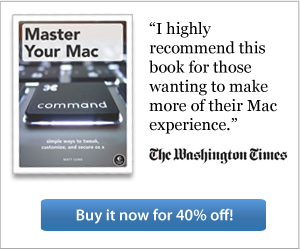 Apple saw this coming. They created a free utility called Find My iPad that can detect the location of a lost iPad with great accuracy, assuming it's turned on and connected to the Internet. If you ever lose your iPad, Find My iPad can help you recover it. Just log in to the iCloud website or fire up the Find My iPhone app on another iPhone or iPad and you'll be able to locate your iPad on a map, make it play a sound or display a message, enable a passcode, or even erase all of the data to protect your private information. From the iPad's home screen, tap Settings. Slide the Find My iPad switch to the On position. Congratulations! You have enabled Find Your iPad. 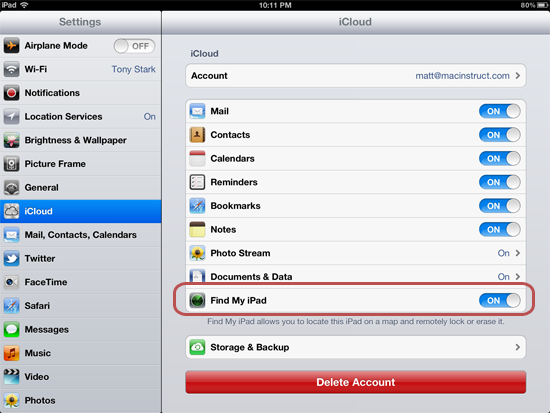 Now if you ever lose your iPad, you'll be able to find it by using the iCloud website or the Find My iPhone app.